Majestic forts, grand Havelis, splendid temples, spectacular palaces, rural and desert landscape, traditional and colourful culture, delicious cuisine and colourful and bright costume of Rajasthani, there is so many things that Rajasthan has to draw the attention of tourists to the exotic and colourful state of Rajasthan. Rajasthan is the golden glow of desert landscape. Rajasthan offers the visitors both quiet moments of relaxation and adventure in the desert state. Before (700 AD) emergence of Rajput clans in the state of Rajasthan, the state was a part of several republics. It was a part of the Mauryan Empire. Other major republics that dominated this region include the Malavas, Arjunyas, Yaudhyas, Kushans, Saka Satraps, Guptas and Hunas. The Rajput clans ascendancy in Indian history was during the period from the eighth to the twelfth century AD. The Pratihars ruled Rajasthan and most of northern India during 750-1000 AD. Between 1000-1200 AD, Rajasthan witnessed the struggle for supremacy between Chalukyas, Parmars and Chauhans. 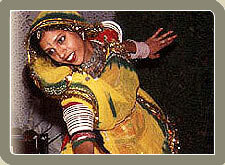 Rajasthan is one of the most colourful states in India. The state is culturally rich and has unique and vibrant culture. Like topographical and geographical variation of the land, Rajasthan has a wide diversity in its stunning and interesting culture. 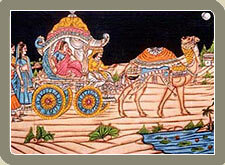 Rajasthan is well-known for its colourful and traditional art and culture. The colourful culture of Rajasthan reflects in its music & dance, costumes & ornaments, delicious cuisine, tradition & customs and fair & festivals. One can rarely see so rich a cuisine anywhere in the world that Rajasthan has. Each region in India has its own traditional dishes and specialities. Located in northwest in India, the state of Rajasthan is a land of brilliant colour and vibrant festivals. The state is at its most dazzling during the fairs and festivals which are celebrated by the Hindus, Muslims and others. When it comes to celebrating fairs and festivals, there is no matching the pace of Rajasthan. One of the most popular and colorful fairs of the Thar Desert is the Pushkar fair, which begins on Kartik Shukla Ekadashi and goes on for five days till Kartik Purnima.